Criminal complaints have been filed in France against yet to be named defendants regarding severe injuries after Gardasil vaccinations. The complaints were filed by Camille Krouchner on behalf of ten young women, ages 18 to 24, suffering from a variety of autoimmune disorders including lupus, Guillain-Barré, ADEM, idiopathic hypersomnia and multiple sclerosis after being injected with the HPV vaccine, Gardasil. The one thing these young women have in common is they have all contracted severely debilitating diseases in the weeks and months following vaccination when they had no medical history. There are many stakeholders and (we) must seek everyone’s responsibility. 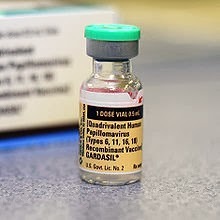 Gardasil was launched in France in 2006 as a preventive measure against cervical cancer. 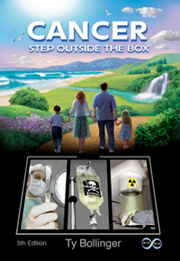 Almost immediately, safety concerns began showing up in medical journals and news reports from the United States, Spain, Germany and Austria. These concerns are being echoed in countries around the world including India, the United Kingdom, Ireland, Japan, Israel, Mexico, Colombia, Peru, New Zealand, Sweden, and The Netherlands, just to name a few. You cannot kill the Gardasil based on singular stories, scientific demonstration is required; but there is circumstantial evidence against the vaccine. Ms. Pasca is absolutely correct. Scientific validation should be required – if safety of the vaccine for some individuals was the only issue at hand. Unfortunately, that is not the case. The SaneVax Team believes it is high time government health authorities take the concerns of medical/scientific experts seriously. The issue of side-effects and HPV vaccines should have never arisen. When injecting a healthy population against one risk factor for cervical cancer – NO RISK TO CURRENT HEALTH IS ACCEPTABLE – particularly when said vaccine has not been proven to eliminate even one case of cervical cancer. Norma Erickson is the President of SaneVax, where this first appeared.